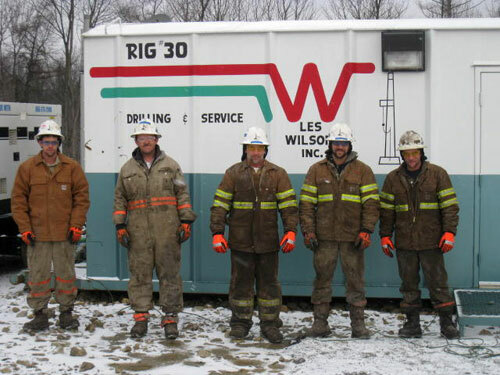 Safety Policy Statement - Les Wilson Inc.
We are committed to providing the safest work environment possible. The creation and maintenance of a safe and healthy working environment is of the utmost importance for the continued successful nature of our business. We strive for continuous improvement in all aspects of our operation, beginning with safety. To this end, safety requirements must be considered fundamental to all aspects of our operation. As technological advances are made, we will continue to implement sound safety and health practices. To achieve our objectives, it is essential that all employees be trained and committed to not only compliance, but personally supporting all safety programs and procedures. Everyone is responsible for their own safety, and the safety of those around them. Les Wilson Inc. has implemented and enforces a strict "Zero Tolerance" drug and alcohol policy. All Les Wilson Inc. employees are required to adhere to this policy, which includes pre-employment, post-accident, and random drug and alcohol testing. Our "Zero Tolerance" policy is a critical component in our commitment to provide a safe and healthy work environment. Les Wilson Inc. is a member of ISNetworld and utilizes this system to report and manage health and safety information.